It's wise to have a roof evaluation done on a regular basis, as well as after a major storm, to ensure there is no underlying damage. Doing so can save you a significant amount of money - and frustration - down the road. The experienced roofing professionals at PGRS: Professional Grade Roofing + Siding can provide a thorough, informative roof evaluation for your Atlanta area home so you can identify potential problems and make the best possible decisions for your home. We offer complete roof inspections in Newnan, Smyrna, Atlanta and the nearby areas. Call us today at 1-855-557-5113 or click below to get started with a free estimate! Why Do You Need a Roof Evaluation? Often, homeowners forget about their roofs until there is a problem. It's important to have your roof inspected on a regular basis, and especially after bad weather. An evaluation helps identify problems so you can have them repaired before the problem becomes costly and destructive. Homeowners should make roofing inspections a priority. What We Look For During the Evaluation? If your home has damaged Atlas Chalet shingles, please note: THEY CANNOT BE REPAIRED. Since Atlas Chalet shingles are no longer made and are no longer available to buy, your insurance company must allow a full roof replacement if storm damage has occurred. The Atlas Roofing Corporation stopped manufacturing the Chalet Shingle in 2010. Having an Atlas Chalet roof replaced after the evaluation process means dealing with your insurance company, which can be a complicated and lengthy process. Our goal is to make the entire insurance claim process easier and more convenient for you. From the first meeting with your insurance adjuster to the final paperwork, we'll be there every step of the way. At PGRS: Professional Grade Roofing + Siding we will advise you of certain measures that must be taken to ensure that the defective Atlas Chalet roof is replaced properly. Thank you for considering PGRS: Professional Grade Roofing + Siding for your project. We look forward to serving your needs. 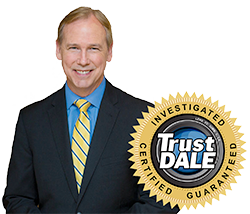 For questions,comments or a FREE consultation, please contact us at 1-855-557-5113 or online. We offer our services in Smyrna, Atlanta, Newnan, Ellenwood, Fayetteville, Mableton, Peachtree City, Douglasville, Stockbridge, Carrollton and the nearby areas.